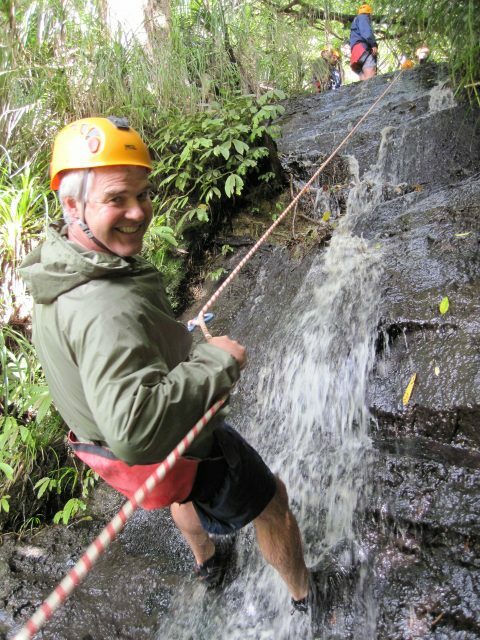 We offer a range of activities from canyoning, abseiling and adventure races; integrated with archery, paintball and fun games where the whole team can get involved at a level that suits them; have a good laugh and blow away the cobwebs before, during or even after your conference. 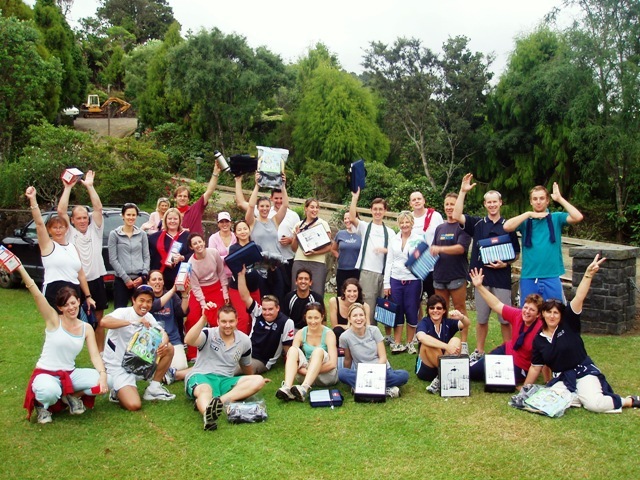 We cater for most ages and physical abilities. 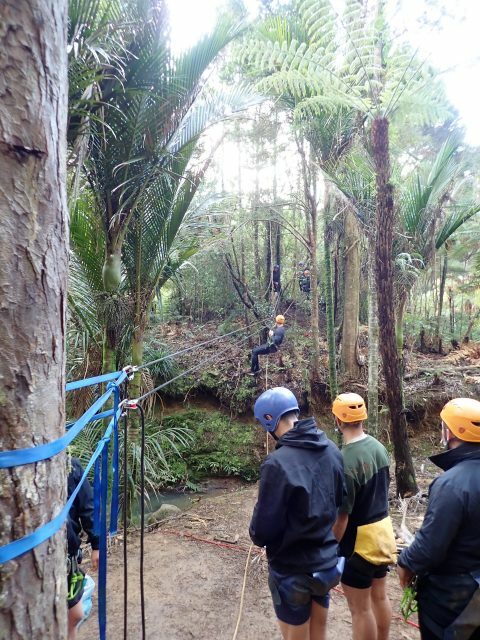 If you’ve no time for canyoning but would like to do something similar to challenge your team we have two alternative abseiling experiences for you, situated on the stunning Auckland Waitakere Estate grounds. 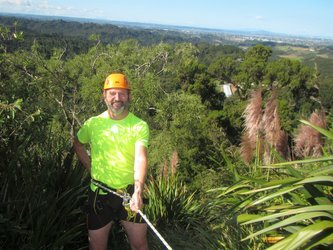 A 28m abseil that starts off as a gentle ramp that will ease you over the edge and have you descending a vertical wall, while surrounded by beautiful native bush. 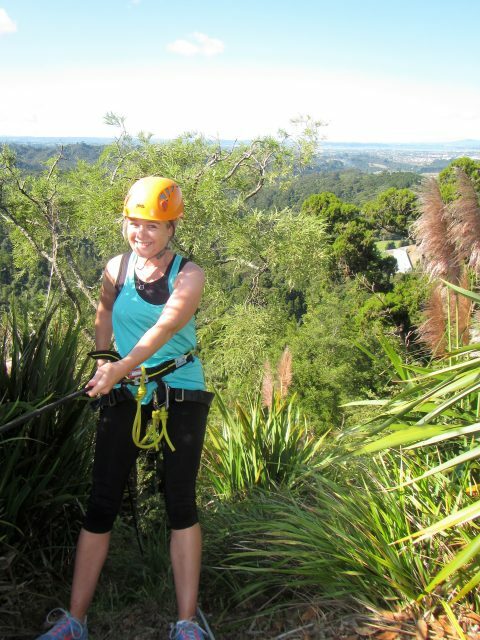 This abseil is situated a 2-minute walk from the Waitakere Estate conference rooms. 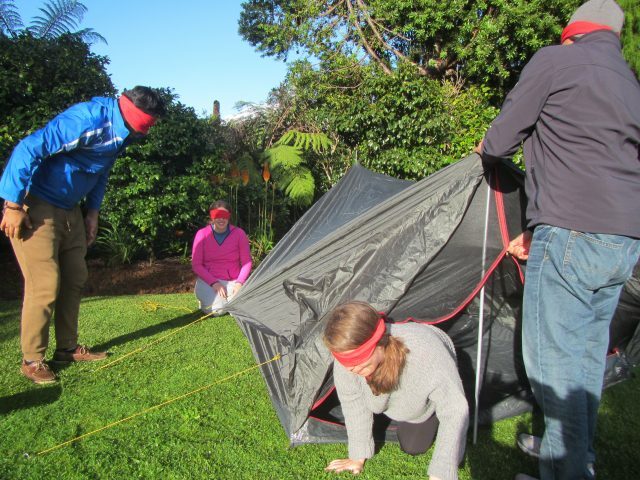 A good challenge, but also an activity suited to most groups as you remain dry and it can be scheduled in part way through your event. 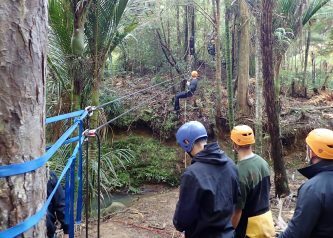 After honing your skills with some basic abseil practice we head into the bush, following a stream. 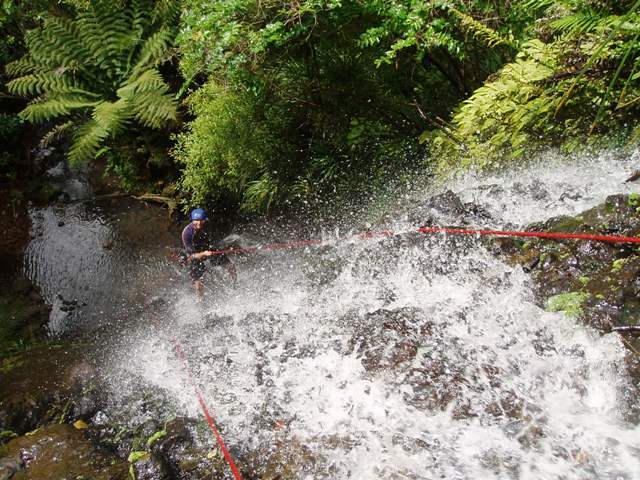 There you will face three abseils, the biggest of which is 30m, as well as some other obstacles that you’ll have to work together as a team to overcome. 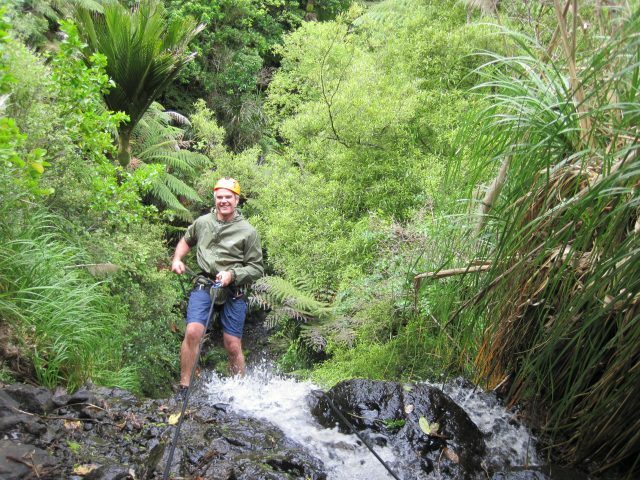 Most of the time you will be in ankle to knee-deep water, but the last abseil will shower you, so bring spare dry clothes! 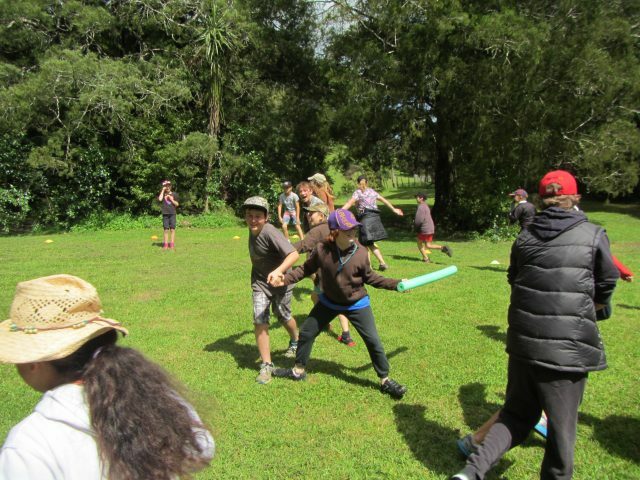 A great option for big groups, with a variety of fitness and ability levels, that want adventure and don’t mind getting wet. 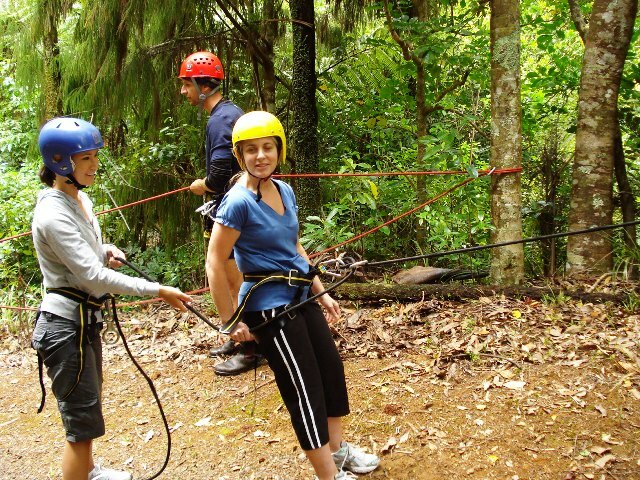 All obstacles are optional and participants can pick which abseils they do. 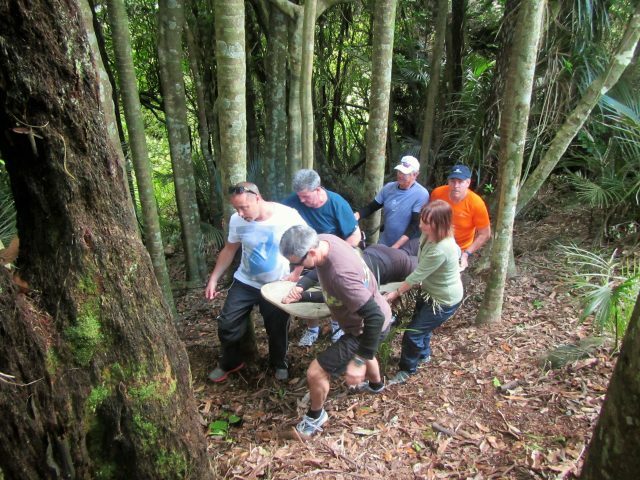 Challenges will require teamwork and some individuals will need to step out of their comfort zones, with the support of their colleagues. 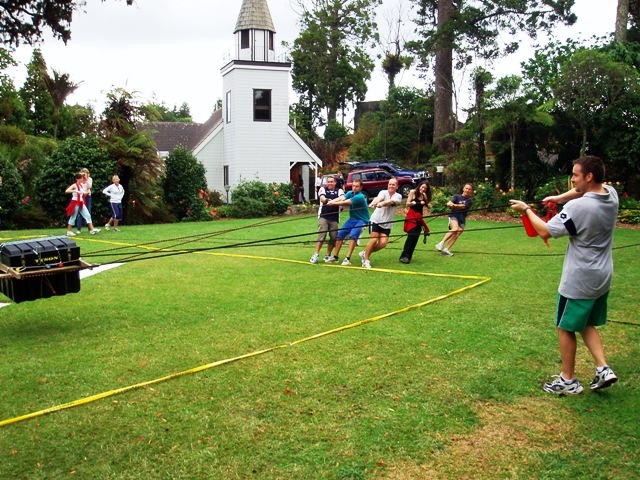 The team is split into groups to race against each other, with a series of problem-solving activities. 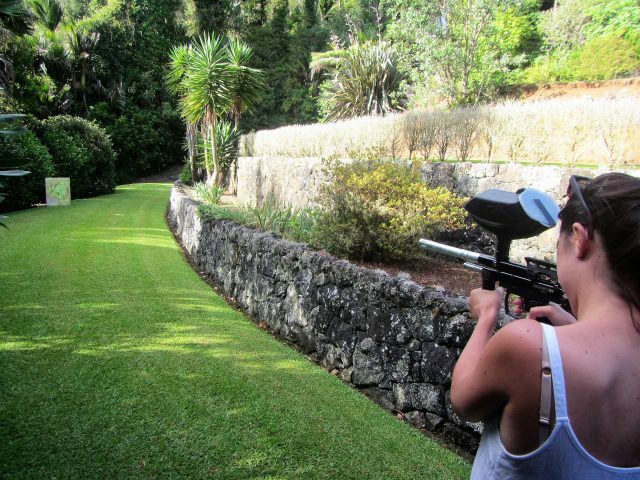 It’s all about fun, exploring the grounds and gardens around the Waitakere Estate and having a good laugh. 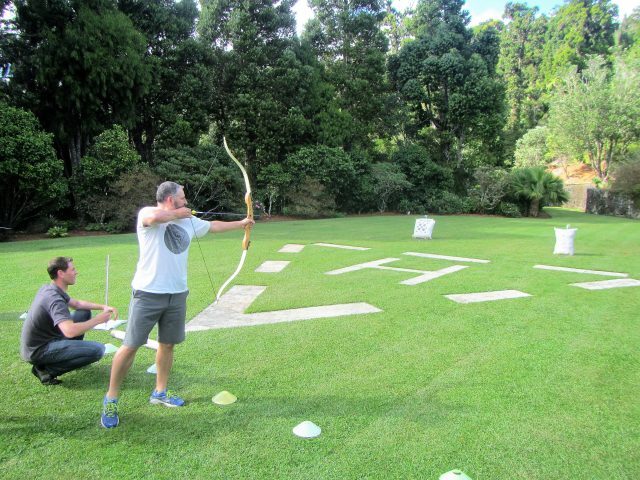 Included in your Adventure Race are activities such as paintball target shooting, blindfolded mazes, navigation, archery and communication challenges. 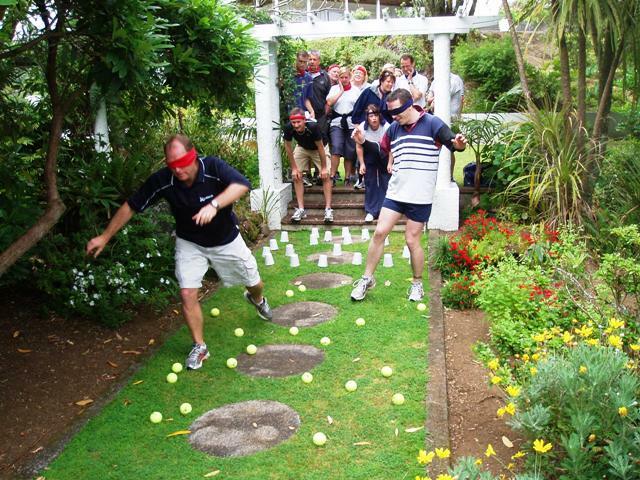 This program can expose real challenges faced by teams in their work place in a fun non-threatening way. Our Adventure Races can be run in different locations, give us a call to discuss alternative options for your event. Learn a specific search and rescue task. Set up a Tyrolean crossing – learn about choosing safe anchors, tying knots, using tension systems to create a river crossing. 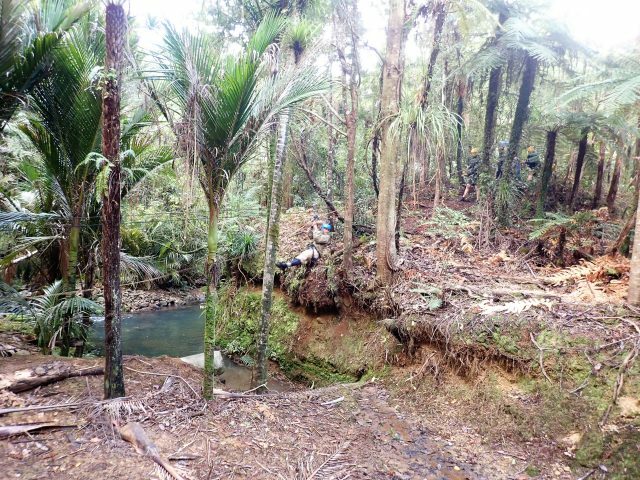 Organise a search for a missing person – tracking, search methods, navigation, profiling and recovery. 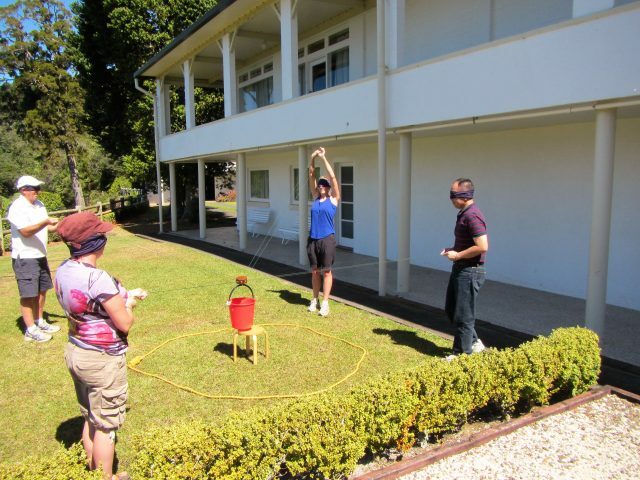 A navigational challenge with maps and compasses, where teams compete against each other and the clock to make it to various checkpoints. 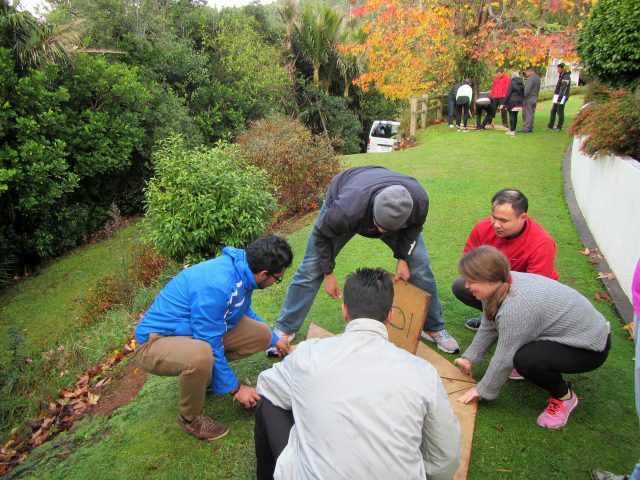 The race is set up to ensure you see the best of Piha – a day of physical activity set in a spectacular setting. 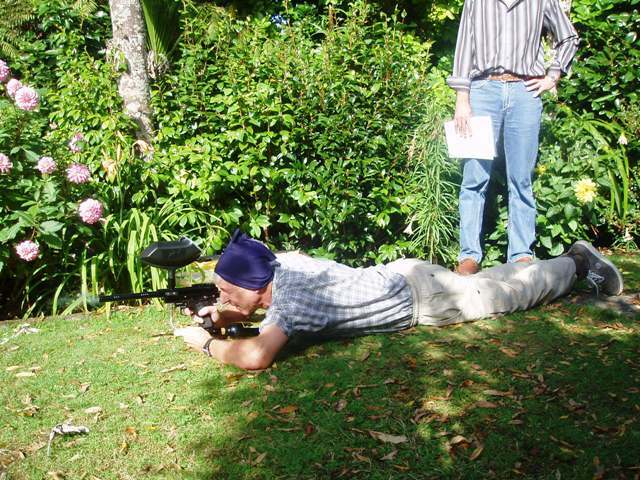 To break up the racing we often integrate in some Adventure Race challenges. What better way is there is show your team you care, than by dangling them over a cliff? 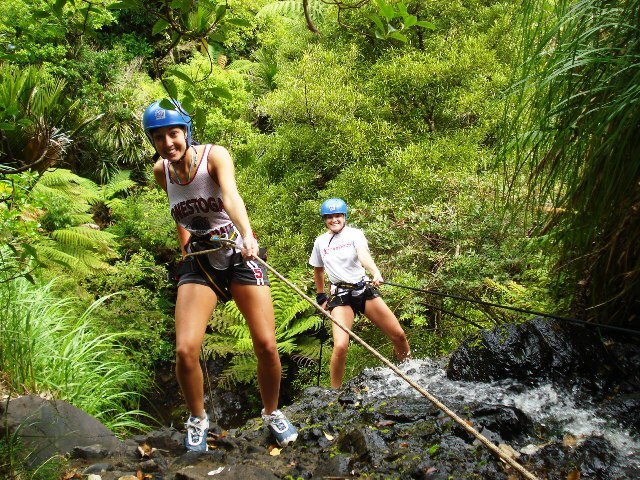 An ideal introduction to the excitement and beauty of canyoning, perfect for those on a tight schedule with flexible departure times. 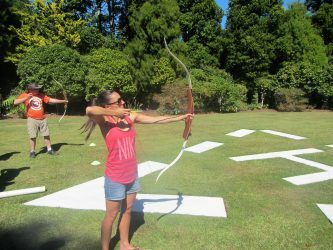 Ideal for big groups with varying skill and fitness levels, such as corporate functions, team building and Christmas parties. Includes transport, snacks, and refreshments. Not to mention all the gear and great guides to complete the package. We can also help you with catering options for afterwards. 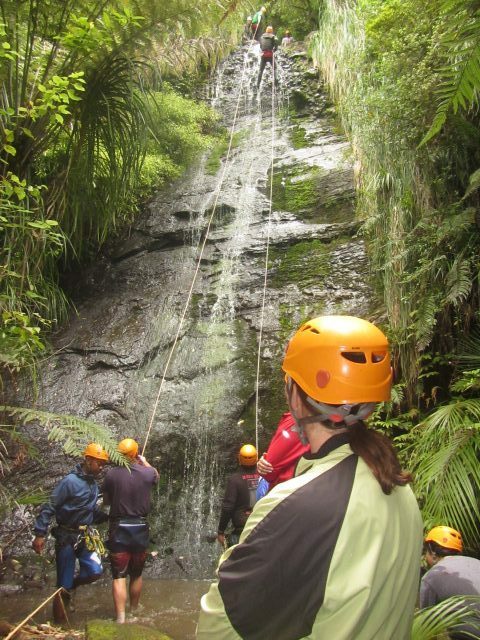 For more information on planning your canyoning function give us a call. Group discounts apply. 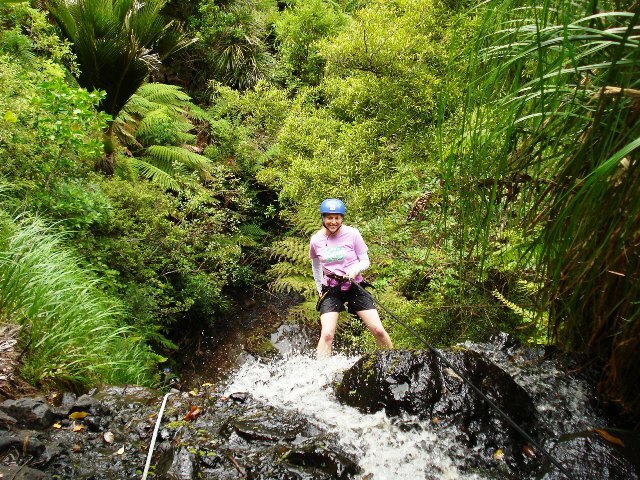 Check out our canyoning photo galleries here. 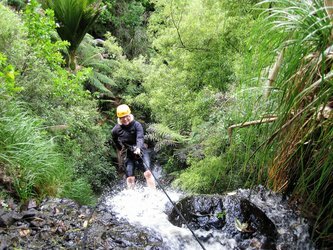 Details on canyoning options here. 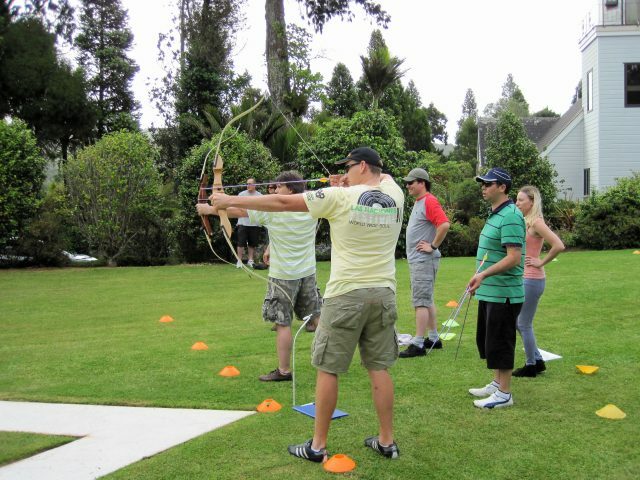 Many activities are onsite at Auckland’s Waitakere Estate. 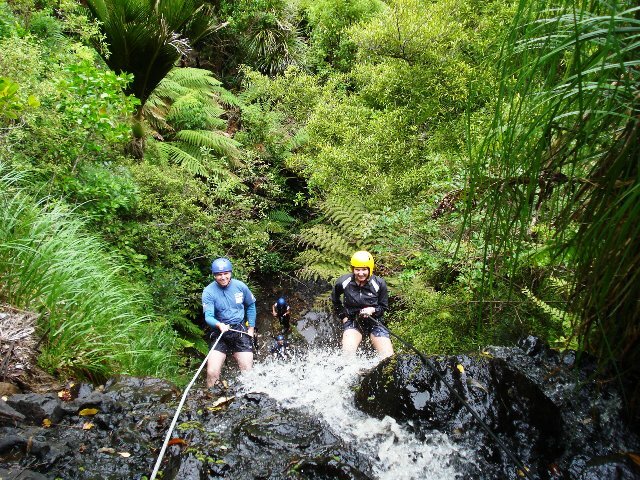 Our canyoning activities take place in Piha. Please contact us to discuss the options. 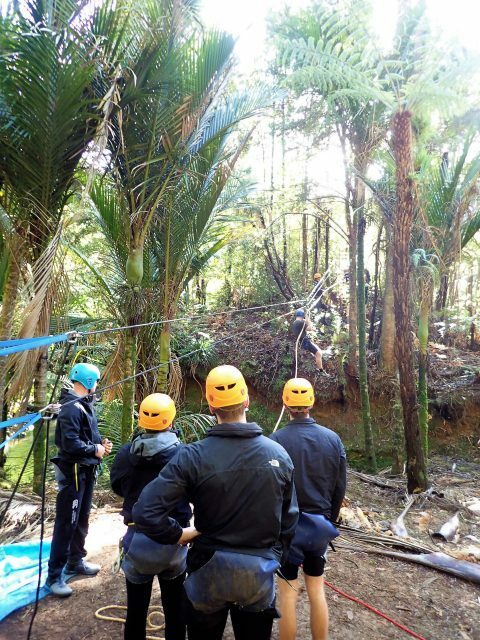 You will receive full training and safety instructions by experienced and qualified guides, as well as harness and helmet and all the abseiling equipment needed. 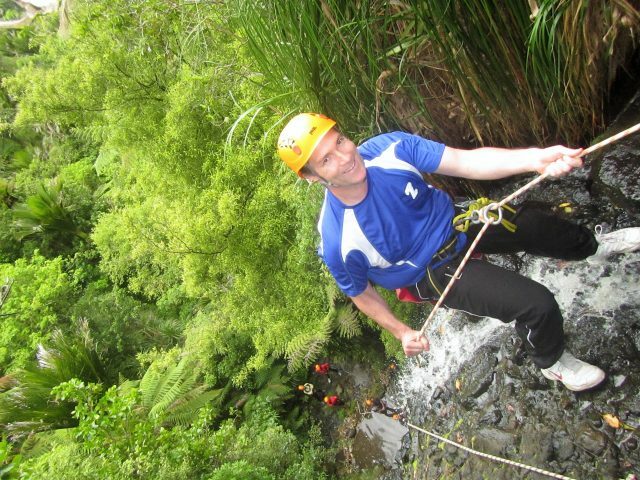 Clothing suitable for abseiling in (shorts and t-shirt are ideal), spare sneakers for in the water (they will get wet! ), a towel, sunscreen and clothes for after. Please also remember to bring medication you may require e.g. asthma inhalers, epi pens etc. 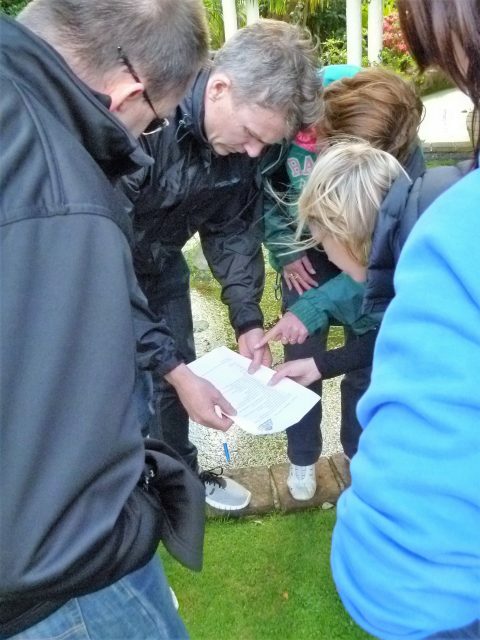 Please see our frequently asked questions page for more detail about our trips. Before booking please read our full terms and conditions and our cancellation policy. We need final attendant numbers 48 hours prior to the event. Invoicing will be based on that final number. We accept payment by direct credit or by Visa or MasterCard (3% processing fee applies). Prices quoted include GST. 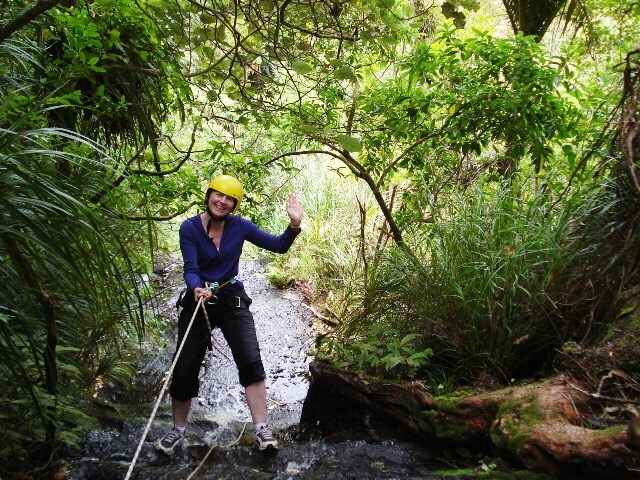 Canyoning is ideal for Christmas parties, work groups, birthdays and stag and hen parties. 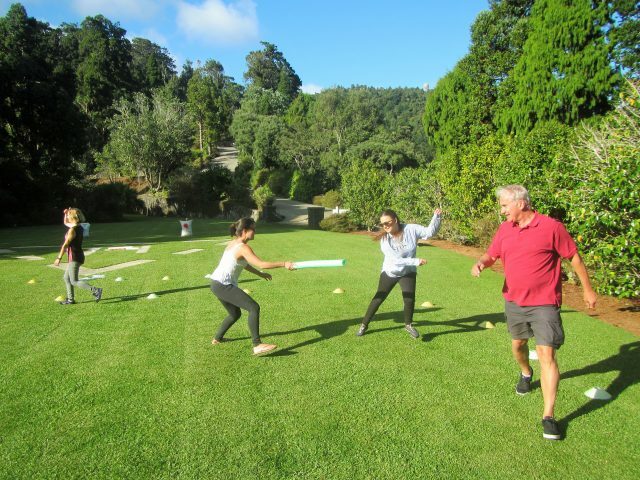 We can combine any of our trips with a BBQ or catered for; locally, by Piha’s Bowling Club, The Piha Cafe or Piha Surf Club and/or with accommodation. Give us a call, if you’d like help planning your personalised function. Ask about our pricing for group bookings. 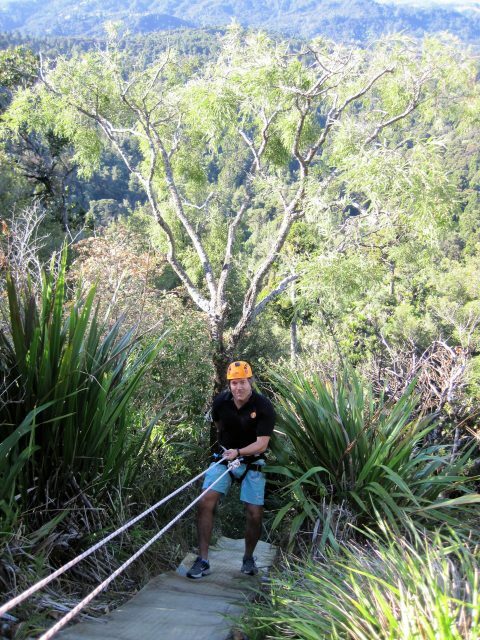 Piha Beach Stay – an awesome, relaxed and affordable option in idyllic surroundings. 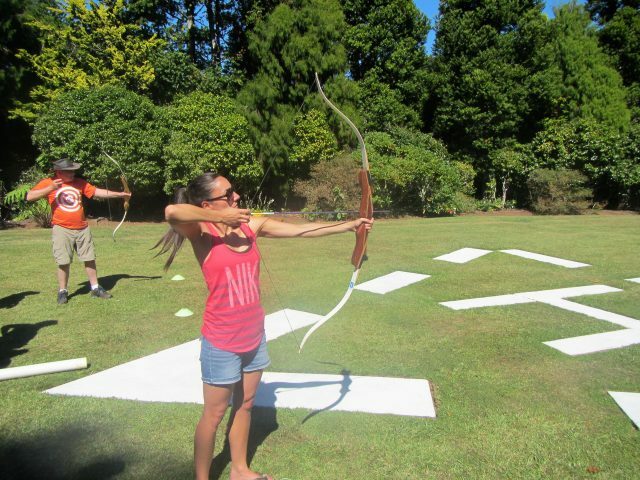 Black Sands Lodge – a boutique option on the beach, nestled under the Pohutukawa trees. 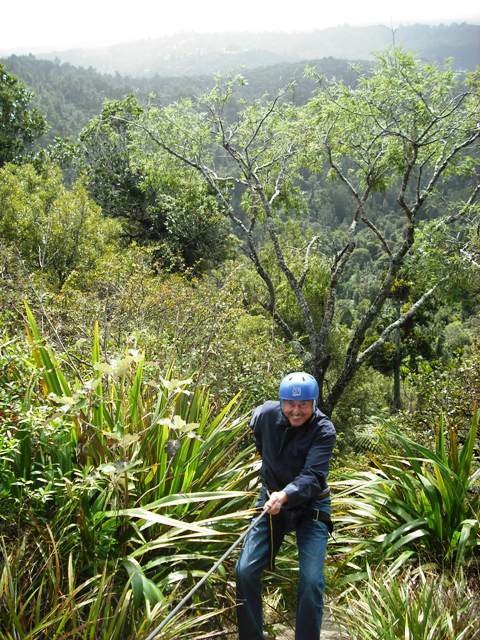 Piha Campground – family orientated, quiet and in a great central location. 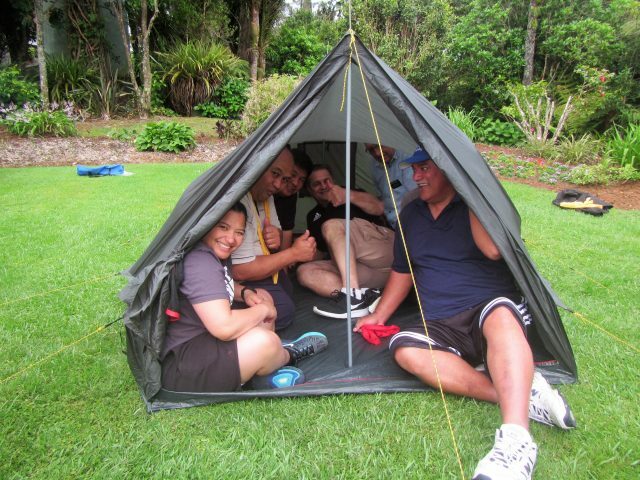 Aucklands Waitakere Estate – great for larger groups or those in need of conference facilities.